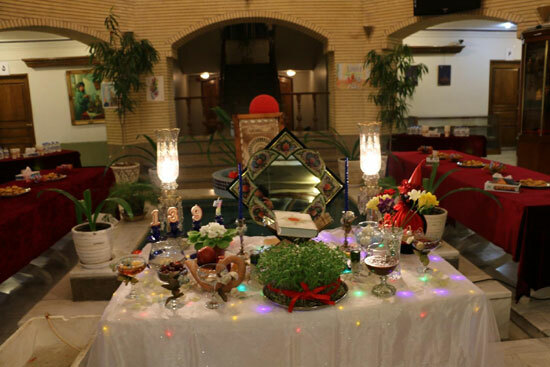 A special program on the occasion of Persian New Year, known as Nowruz, was held at the cultural attaché's office in Iran's embassy in Turkmenistan. Various social groups from Turkmenistan, including the Persian language learners and their families, eminent cultural, scientific and academic figures of the Central Asian country, as well as Iranian expatriates attended the ceremony held on Monday evening. Iran's cultural attaché in the Iranian embassy in Ashgabat Mohammad-Javad Abolqasemi congratulated the Persian New Year to the Turkmen government and people, as the occasion is celebrated by nine countries, including Turkmenistan. The ceremony also included classic Persian music performance. Nowruz is celebrated as the first day of Perisan year (March 21) and the tradition which is originated from the ancient Iran is celebrated in eight other countries, namely Afghanistan, Tajikistan, Azerbaijan, Uzbekistan, Turkmenistan, Kazakhstan, Kyrgyzstan and Albania. Haft-Seen (the seven seen's), which is a tabletop (sofreh), is an arrangement of seven symbolic items traditionally displayed at Nowruz. The haft-seen table includes seven items all starting with the letter Seen (letter) in the Persian alphabet, all of which represent important concepts in Persian culture.